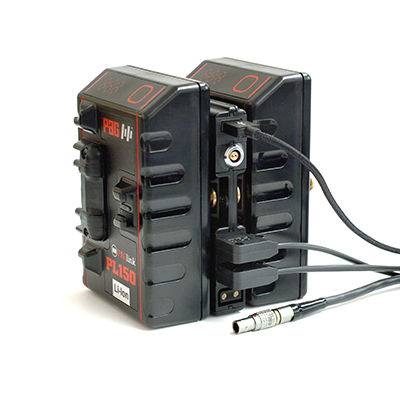 The PowerHub is a compact and user-configurable camera accessory power device, designed for use with the PAGlink Gold Mount system of intelligent linking batteries. 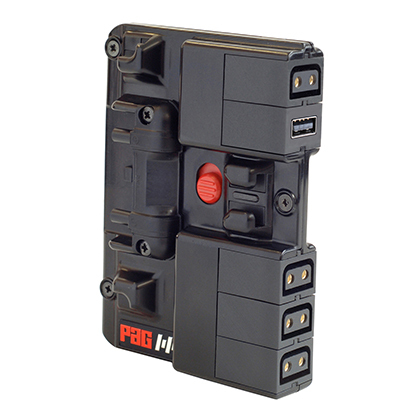 PowerHub incorporates five output ports that accept a range of interchangeable, plug-in connectors. Four D-Tap connectors are supplied as standard; a USB connector (5V, 1A) is also included which allows you to charge your smartphone, or power similar low-voltage devices. These connectors are interchangeable with Lemo (2-pin), Hirose (4 pin) or 2.1mm (PP90) connectors, available in addition, and can be used in any of the 5 ports. 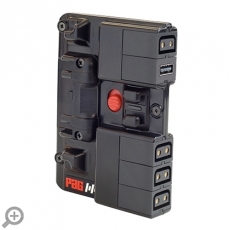 Any combination of connectors is possible enabling you to configure the PowerHub to your exact requirement. The ultra-compact and lightweight PowerHub is designed to be used sandwiched between two PAGlink batteries, increasing the depth of the battery stack by just 12mm. This enables the rear battery to be hot-swapped without disconnecting the accessories. This is not true when accessories are plugged into the built-in D-Tap found on some other manufacturer’s batteries. Alternatively, the PowerHub can be connected to rear battery of the stack. 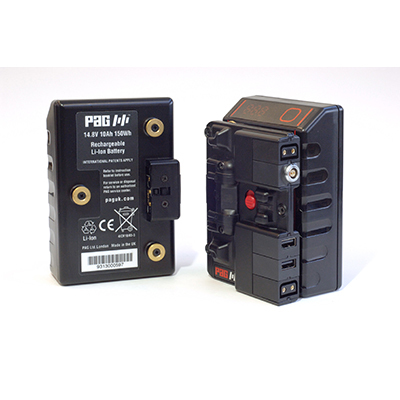 NOTE: The PowerHub Model 9712 can only be used with PAGlink Gold Mount batteries (Models 9306 and 9313). It draws power from the PAGlink contacts on the face of the battery. It cannot be connected directly to the camera or used with non-linking Gold Mount batteries.